As we explained in Your Phentermine Food Plan, making simple healthy meals at home is a great way to save on calories and much cheaper than take outs and ready meals. However, if you’re struggling with where to start, here we have six quick and easy recipes for phentermine weight loss that everyone should learn how to make if they don’t already know. So, it’s time to throw away those take out menus and turn to these health-boosting recipes for simple healthy meals that leave you looking and feeling great as you lose weight with phentermine. It’s a familiar sight when you open the fridge – eggs, a few vegetables and not much else. However, this is the perfect opportunity to make a frittata! This healthy wholesome dish is packed with protein, which leaves you feeling fuller for longer and helps to maximize the appetite-suppressing effects of phentermine. Take 6 eggs and whisk with a pinch of salt and a little pepper, then take a large non-stick frying pan and add a tablespoon of olive oil to heat your other ingredients. You can add whatever you like, but keep it healthy and try to get as wide a range of weight-loss-boosting nutrients as possible; kale, spinach and leek all work really well. When the veggies are done, pour the egg mixture over your veggies and cook for 3 minutes, making sure to regularly lift the mixture at the sides to ensure that the egg is well distributed. Once lightly brown, move the pan to the oven at 446 °F for the eggs to set, which should take around 7 minutes. Serve with a salad for even more goodness and save the leftovers for tomorrow’s lunch as a great way to save yourself extra work. For a super healthy alternative to pasta, rice or couscous, try quinoa and we promise you won’t look back. Quinoa is nutrient-dense and really filling so it’s perfect for lunch or dinner to keep hunger at bay. Rinse half a cup of quinoa thoroughly before cooking to remove any bitterness, add to a pan with twice as much water, and bring to the boil. Leave to simmer until all the water is absorbed. Once the quinoa is light and fluffy, you’re free to add whichever salad ingredients you like. And, if you need some inspiration then these great ideas will help you liven up your salads and build a healthy meal full of goodness and flavor. It sounds simple enough but many of us still prefer to buy tinned soups. However, with tinned soups there’s always the risk that you’re consuming too much salt, and unnecessary preservatives – both of which should be avoided for your health, but especially as these can limit the effectiveness of phentermine by causing your urinary pH to become acidic. By making soup from scratch you know that you’ll be getting more crucial weight loss nutrients and less of the bad stuff. Soup is actually really easy to make, not to mention perfect comfort food for when the cold weather rolls around again. And, as you’re making it, you only need to put in the ingredients you like! So, chop up whatever veggies you fancy, heat a tablespoon of sunflower oil in a large pan and add onion, garlic and throw in the vegetables. Stir the mix for around 15 minutes and then add 1 ¾ pints of stock to the pan, season with salt and bring to the boil, stirring now and again. Leave to simmer then serve with warm whole grain bread for the perfect winter warmer that will also up your vitamin intake in just one bowl. Grilled chicken is a sure-fire simple way to provide a healthy filling meal, packed full of protein to keep your appetite suppressed for hours and plenty of B vitamins to add to the energy boost that phentermine gives you. Grill the chicken at a medium-to high heat until fully cooked and you’re done. It can be a little bland however, so you need to spice things up with some mouth-watering herbs and spices; take this opportunity to experiment with garlic, rosemary, lemon, caramelized onion – whatever you like! Then serve on a bed of salad to give even more healthiness to this simple healthy meal for phentermine weight loss. When you’re short on time, a stir-fry is the perfect meal to whip up in less than 30 minutes. Crisp, crunchy and brimming with flavor and freshness, stir-fries tasty, easy to prepare, and a great way to boost your vegetable intake. Like a lot of these simple recipes, you can add whatever veggies you like, but good options are broccoli, peppers, onions, garlic, mini sweetcorn, bean sprouts, carrots, and water chestnuts. You can keep it vegetarian but if you want to add meat, cut up chicken breast or lean beef with scissors into strips and cook in your wok or large non-stick frying pan with a dash of olive oil. Boil the noodles while the meat is cooking, then when the meat is ready, add the veggies and noodles, and then for flavor, either little stock with Chinese five spice or just a dash of soy sauce and serve! Stick to whole grain pasta and you get lots of fiber that keeps you full for longer, and whole grain pasta provides a lot more nutrients and energy than simple carbs like white pasta or white rice. Making your own tomato sauce also saves your waistline and your wallet, as not only do jars of spaghetti sauce contain a lot of sugar, they can also set you back between $2 and $6, while the equivalent amount of canned tomatoes will usually cost under a dollar. To make a basic tomato sauce for pasta, put crushed tomatoes (either canned or fresh) into a saucepan and stir in some wine or wine vinegar, a pinch of sugar, your favorite herbs and some chopped onion and garlic. Let this simmer for half an hour and then add any other vegetables you want, such as peppers, zucchini, mushrooms and cook until the vegetables are soft. Lastly, add a small Greek yogurt to make it creamy, stir and serve. And, if you want to add some extra protein then mix in some tinned tuna. 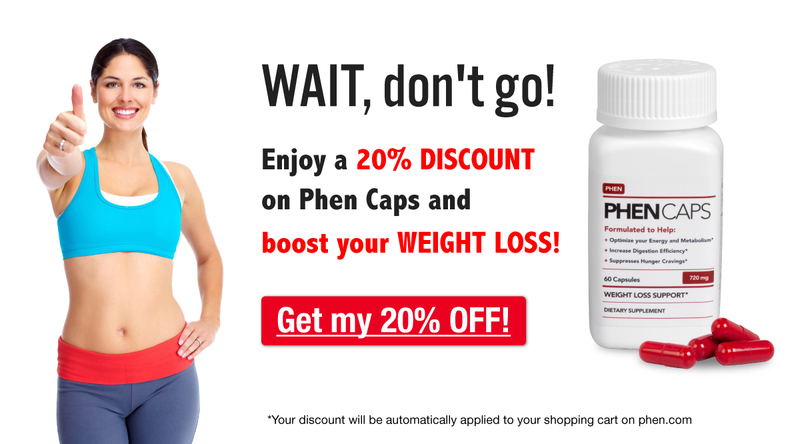 With these simple healthy meals for phentermine weight loss, there’s no excuse not to cook filling, nutrient-rich foods that will boost your health and help you to achieve long term success with phentermine. What are you go-to healthy recipes that you think everyone should know how to make? Share your recipes with us by commenting below.